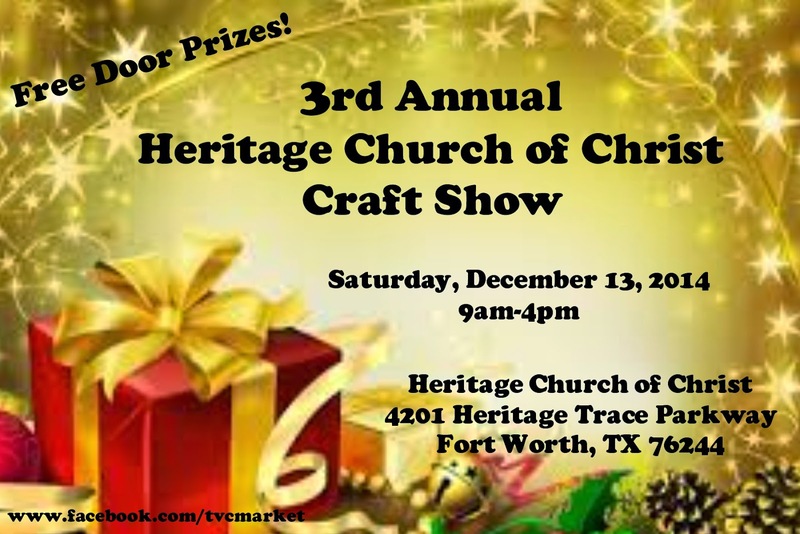 "Join us for lots of fun and great shopping at our 3rd Annual Craft Show. We will have: All things girly, painted glassware, Vintage decor, Shabby -Chic furniture, Harvest and Holiday Decorations, BLING, Handbags, Children's clothing, Artisan Soaps and lotions, Spirit wear, Jewelry and much much more. With over 65 vendors and Free Door Prizes every 30 minutes." Applications are available here and are due by November 29, 2014.